After a perfect first kiss, Aurora's second kiss lands her boyfriend in the hospital, and her matchmaking strategies start to backfire in this sequel to Tara Eglington's How to Keep a Boy from Kissing You. For a girl who shares her name with a princess (aka Sleeping Beauty), Aurora Skye’s romantic life seems fathoms away from a fairy tale. Sure, she’s landed her prince charming, Hayden Paris. And she got her wish—one first kiss with all the knee-trembling, butterfly-inducing gloriousness she’d hoped for. But instead of happily ever after, their second kiss landed Hayden in the emergency room. If that’s not mortifying enough, the whole school is now referring to her as "Lethal Lips." 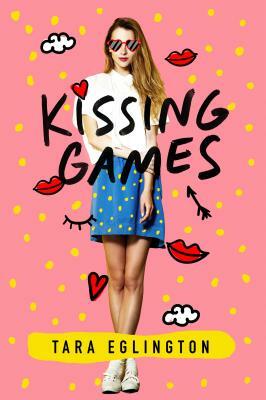 When Aurora's best friend decides to run for class president and offers up Aurora's matchmaking service as one of her campaign initiatives, the kissing games begin. Aurora has to convince everyone that her program works—but that might be hard to do when it seems like her own love life might be falling apart. TARA EGLINGTON grew up in Byron Bay, Australia. Her hobbies when she’s not writing include watching endless cat videos on YouTube, planning pretend holidays to the Maldives, and day-dreaming about who would play Hayden Paris in a film adaptation of How to Keep a Boy from Kissing You, her first novel. She lives in Australia.